Glyoxylic acid or oxoacetic acid is an organic compound. Together with acetic acid, glycolic acid, and oxalic acid, glyoxylic acid is one of the C2 carboxylic acids. Glyoxylic acid is a colourless solid that occurs naturally and is useful industrially. Glyoxylic acid is used as a key intermediate in the pharma or agro industries. Clariant customers use glyoxylic acid in the manufacturing of synthetic vanillin and ethylvanillin, in the syntheses of widely used antibiotic, amoxycillin and as a starting material for the synthesis of iron chelates, a product group used as micronutrient in the agro industry. Generally, glyoxylic acid - because of its bi-functionality - is a versatile reagent in organic and fine chemicals syntheses.Clariant uses considerable amounts of its glyoxalic acid 50% production for downstream chemistry into building blocks for the agro-, pharma and fine chemical industries. 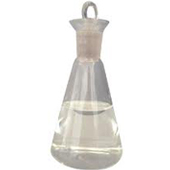 Commercially available glyoxylic acid is a 50% active aqueous solution and comes in different packages.